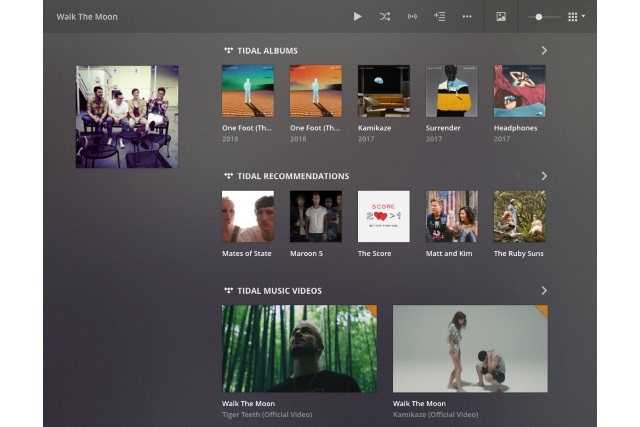 Hot on the heels of TIDAL arriving in the Microsoft Store for Windows 10 users, Plex has announced integration with the high-quality music service in its media tool. You don't need a paid-for Plex Pass to enjoy TIDAL in Plex, but there are special subscription deals available if you do have one. There's also no need to have a server set up -- you can access TIDAL from within the Plex apps. If you're happy to pay $9.99 per month (or $8.99 if you're a Plex Pass subscriber), you can gain access to TIDAL's 60 million high-quality music tracks, over 244,000 videos, and more. You'll also be able to access exclusive content, live streams of concerts, and curated playlists to supplement your existing music collection. Artist Recommendations:On the artist page, Plex will recommend other artists you might like that aren't in your library. Filling in Missing Albums: Plex will show you any missing albums from artists in your library. Augmented Artist Radio: Enhances the Plex artist radio feature, which generates a mix from a specific artist, to include tracks from TIDAL. New Releases: New album release recommendations for artists in your library. Universal Playlists: Mix and match from your own library, shared libraries, and TIDAL. Universal Search: Hear about a new band? Our apps now return TIDAL results alongside matches from your library, for maximum convenience. Discovery Radio: Helps you discover new gems, from artists that are not in your library, based on the bands that are. Music Videos: Users will be able to enjoy TIDAL’s incredible 244,000+ music video collection across all of the Plex mobile and TV apps. Plex's focus on high-quality content aligns perfectly with the unique music and content experience that TIDAL fans love. Partnering with Plex is part of our continued strategy of integrating TIDAL seamlessly into subscribers lives with a one-stop shop like Plex. An incredible music and media experience is something that matters to both TIDAL and Plex users, and the addition of TIDAL's music streaming service within Plex makes it the only solution that organizes and curates all major media types in one place. It's another step closer to making all the media that matters to you accessible from one app, on any device, anytime. If you have a Plex Pass, you can sign up for a free 30-day trial of TIDAL here.